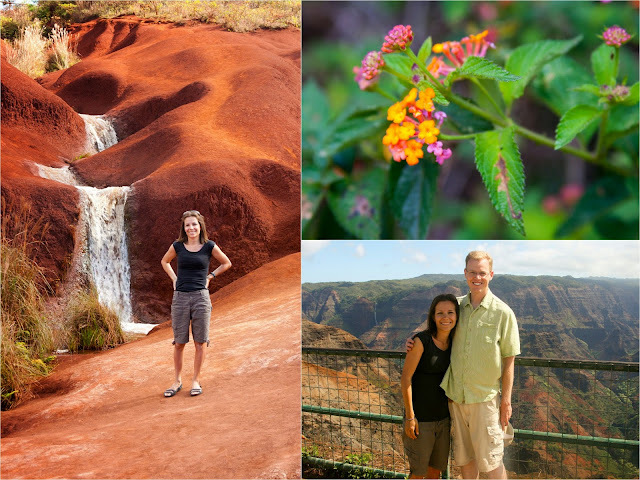 One of the days we took a drive to several look out points along Waimea Canyon. 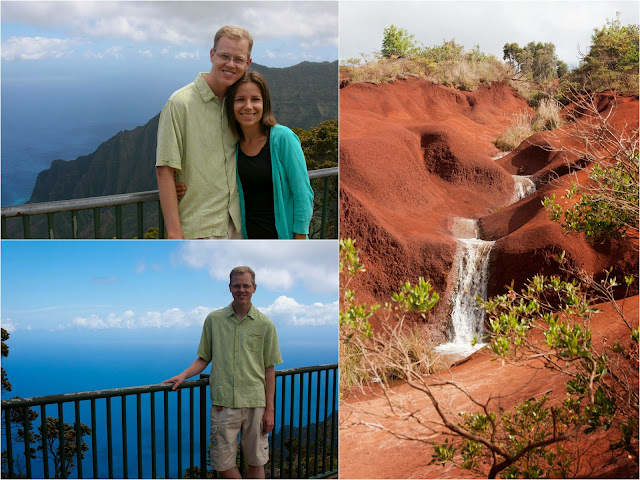 I had forgotten how breathtaking the view of the Napali coast was from there. 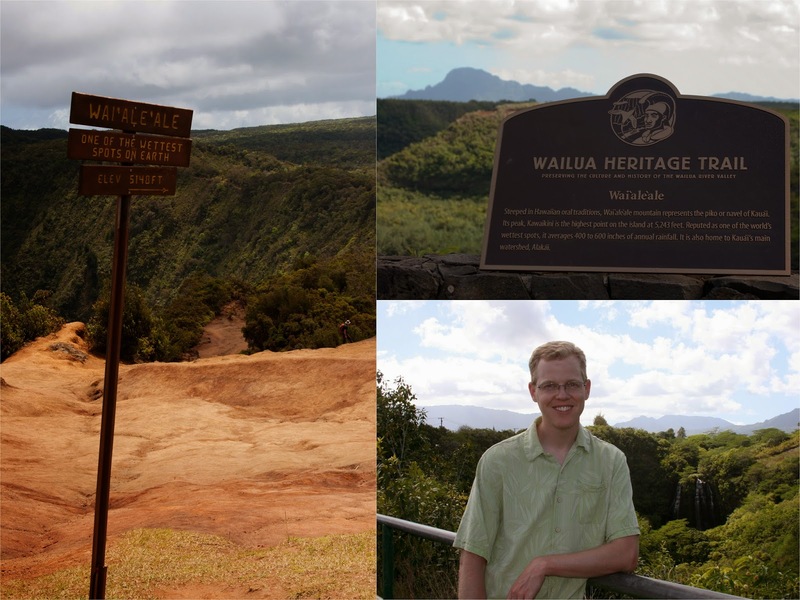 At the very top was a starting to Wali'ale'ale point the highest mountain in Kauai and one of the wettest points on earth. I find it funny that your hike to such a wet place would start somewhere to arid. Mount Wali'ale'ale is the one on in the background photo of the Qailua Heritage Trail Hike. Along the way we came across a gorgeous cascading waterfall among red rock. It reminded me so much of southern Utah. Not far from the waterfall was a short nature hike. 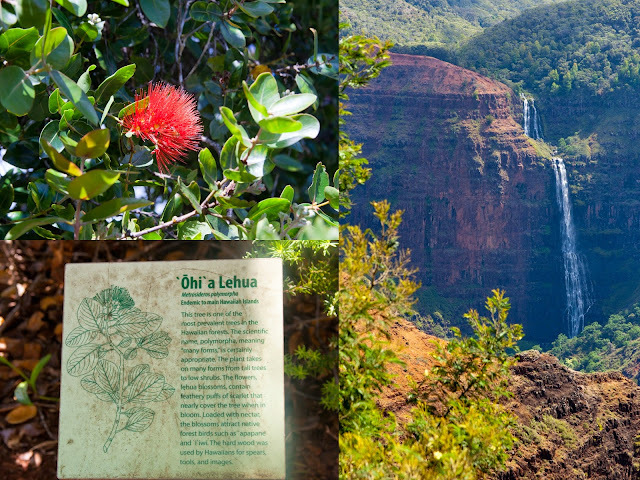 It boasted great views of the canyon and interesting facts about local plants.